In recent years, the significance of music education has greatly increased. 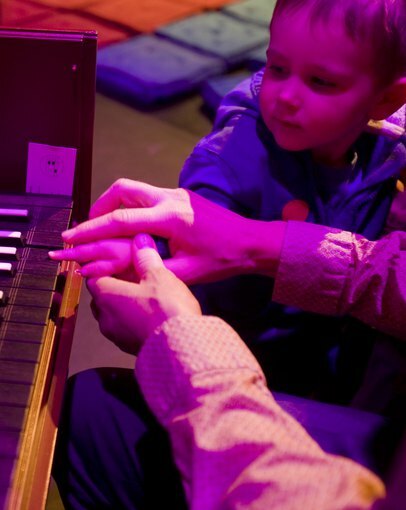 Presenters, producers and orchestras place music education at the heart of the institution’s life and work with audiences and participants of all ages so that they can get involved in and inspired through music. Musicians play a key role in this process. However, there is a lack of specific and suitable training opportunities for musicians who want to work in educational settings. The MEA supports up and coming musicians with the ambition to acquire skills and knowledge in music education. Combining training and practical involvement in Philharmonie Luxembourg’s education program the Philharmonie intends to engage MEA participants in follow-up projects. Projects might be concerts for young audiences, participation and learning projects or others, according to the profile of the participants. – Pascal Sticklies (Senior Manager – Education Department, Philharmonie Luxembourg, LU) and others.